Wetlands across Europe, and around the world, are undergoing rapid changes from a range of pressures, but there are no tailor-made or proactive studies to identify the impacts of change on their heritage resource. Recent years have seen the potential role of wetlands as providing valuable ecosystems services in terms of water management, flood alleviation, and carbon sequestration, but these can often occur in direct conflict with local community perceptions of heritage. This conference marks the end of the five year, EU LIFE-funded lowland raised peatbog restoration project, which has taken place over 3 sites in Cumbria. These are Bolton Fell Moss, Wedholme Flow, and Roudsea Wood and Mosses. The IUCN UK Peatland Programme exists to promote peatland restoration in the UK and advocates the multiple benefits of peatlands through partnerships, strong science, sound policy and effective practice. Our long term vision is that peatlands in the UK function to their full potential and that there is no further loss of peatland ecosystems, which will help to mitigate climate change. Investment in peatland restoration is needed now, securing the benefits they provide and avoiding the costly consequences of their deterioration. The work of the Peatland Programme is overseen by a coalition of partner bodies including Defra, John Muir Trust, Moors for the Future Partnership, National Trust for Scotland, Natural England, Natural Resources Wales, North Pennines AONB Partnership, RSPB, Scottish Natural Heritage, Scottish Wildlife Trust, University of East London, University of Newcastle and Yorkshire Wildlife Trust. The Programme is currently hosted by the Scottish and Yorkshire Wildlife Trusts and primarily funded by The Peter De Haan Charitable Trust. The Peatland Code is a voluntary standard for UK peatland projects wishing to market the climate benefit of peatland restoration. 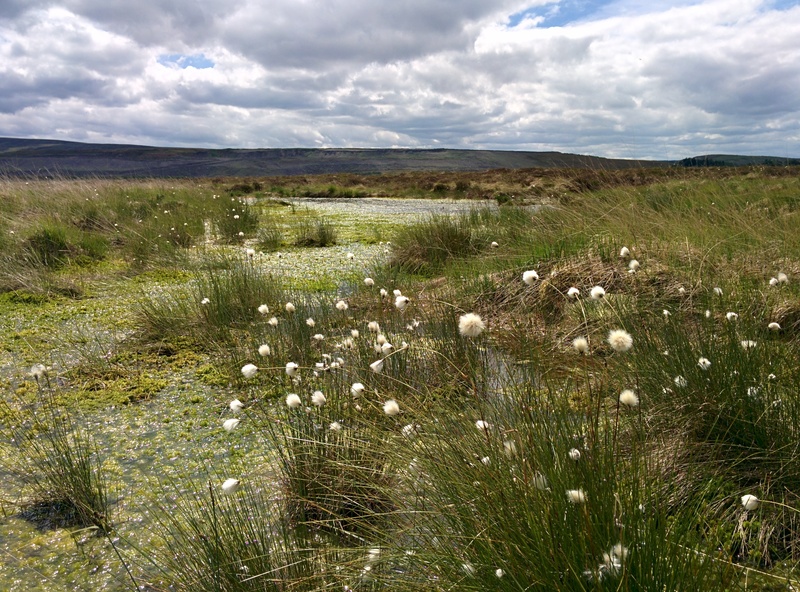 The UK Peatland Strategy aims to drive and co-ordinate action across the UK, supported by country level plans that will establish a course for peatland conservation and management at a more detailed level. Find the latest briefings and reports from the IUCN UK Peatland Programme. Demonstrating Success is a publication from the IUCN UK Peatland Programme showcasing successful peatland restoration projects from across the UK.